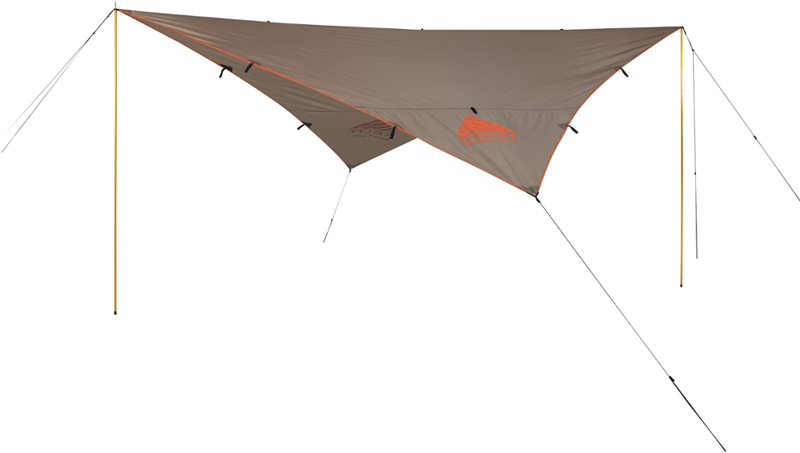 The Kelty Range Tarp withstands harsh weather so you can start your ultralight backpacking trips in early spring and finish late in the fall regardless of the conditions. 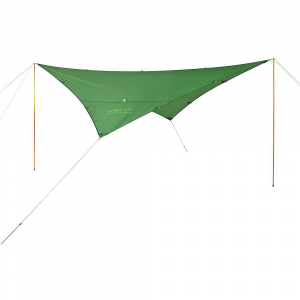 Kelty made this tarp out of sil-nylon ripstop to keep it strong, and a PU coating fends off rainy or snowy weather. Two doors and ground flaps protect against snow and dirt, as well as bugs and other critters. Use your own trekking poles to set this tart up quickly with additional help from the adjustable stake loops and guyline storage pockets. Weather the elements every season of year with the extreme versatility of this lightweight trekking pole pitch tarp tent. Featuring two doors and ground flaps to fend against bugs as easily as snow, it makes finding shelter effortless wherever you roam. 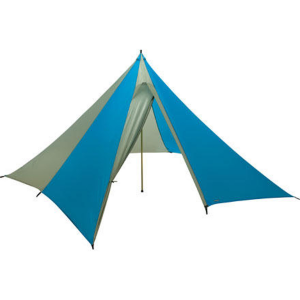 The adjustable stake loops will keep the tent nice and taut and are easily adjusted. Guyline storage pockets keep your guy lines neat and untangled when not in use, saving you time for when you need them. Packaged Weight: 2lb 7oz / 1.11kg. Floor Area: 46.5ft2. Adjustable stake loops for solid pitch. 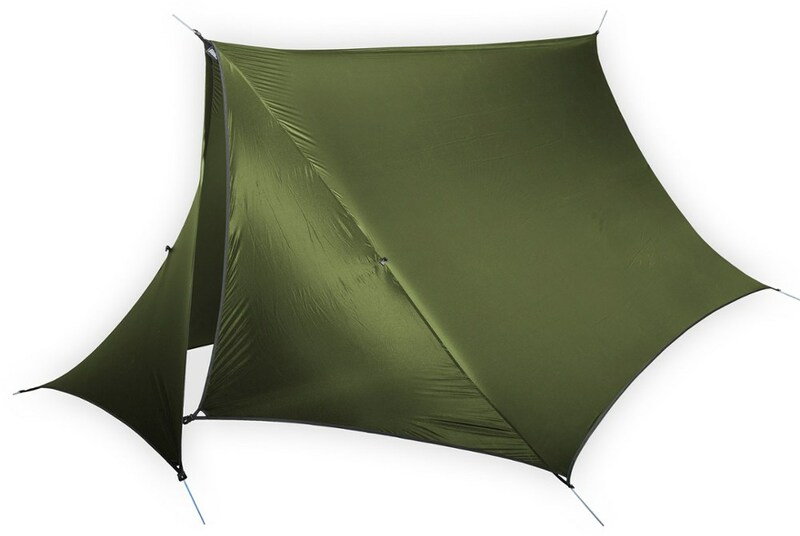 Trekking pole pitch gives you ultra light shelter on the go. It doesn't get much more minimalistic than with a tarp. 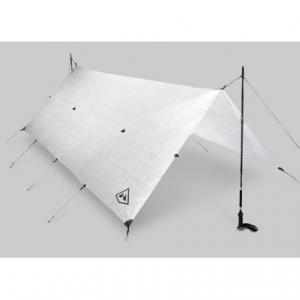 All you need is this lightweight tarp and some trekking poles to weather the elements. Or just use it as an extension to your existing tent. Weather the elements every season of the year with the extreme versatility of this lightweight trekking pole pitch tarp tent. 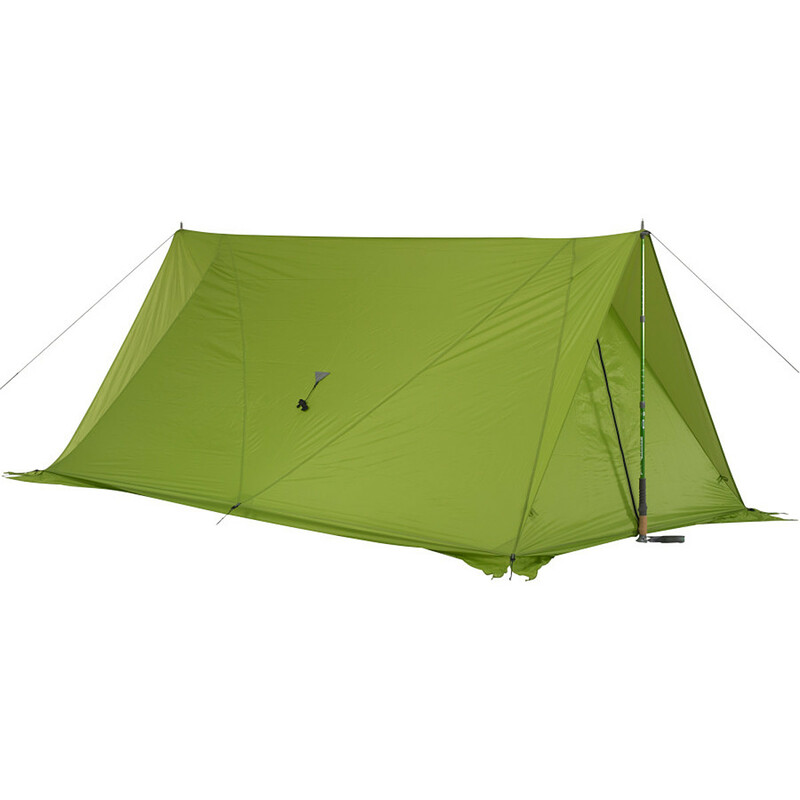 The Kelty Range Tarp features two doors and ground flaps to fend against bugs and snow, making it easy to find shelter wherever you roam. 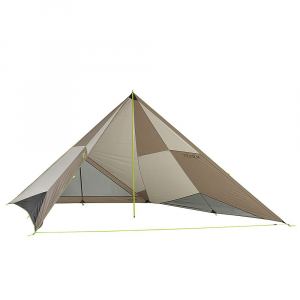 The Kelty Range Tarp is not available from the stores we monitor. It was last seen January 9, 2018	at Backcountry.com.